The Church is the focus of study in Religion class in grade three. Students learn about the traditional marks of the Catholic Church and beliefs held by Catholics. This is done through a study of the Apostles’ Creed. All seven sacraments are studied and there is an exploration of a variety of ministries within the Church. The investigation of morality at this grade level includes studying the Ten Commandments, Jesus’ law of love, and the corporal and spiritual works of mercy as guides for living. We use the text entitled We Believe. Reading is presented each day for an hour and a half. Each child experiences phonics and comprehension skills in his/her reading series, the reading workbook and phonics books. The phonics skills that are emphasized at this level are the review of short and long vowel sounds, blends, digraphs and diphthongs, rules for syllabication, homonyms, synonyms, homograph, prefixes, suffixes, and parts of speech. Dictionary skills are also taught. Students have online access to the reader using Think Central. The Houghton Mifflin Spelling and Vocabulary series maintain a systematic study of phonetic and structural spelling patterns. With regular instruction in proofreading, dictionary skills, and vocabulary development, the students have frequent opportunities to apply these skills to their daily studies. Each week the students should be able to master a given set of words. These words may consist of common vocabulary or sight words. Additional words are given to build the child’s vocabulary. The words coincide with vocabulary from our Reading Series. A test is administered to determine mastery of these spelling words. The text entitled English, published by Houghton Mifflin is the grade three English book. It is a developmental program in which both teaching and content conform to the developing interests and abilities of children. Oral work is stressed since in the elementary grades standard usage of good grammar is primarily a matter of ear training. However, written work, practical and creative, is given heavy emphasis. Our program gives attention to writing sentences, paragraphs, outlines, reports, stories, and various kinds of letters. Listening experiences are also planned so that children may hear and find delight in the language of literature. In our Handwriting program by Zaner-Bloser, the students form upper and lower case cursive letters. The factors that determine good writing in cursive are a child’s body position, slant control, paper placement, and proper pencil holding. 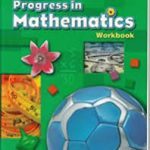 Our third grade Houghton Mifflin Math program provides a balanced approach in developing proficiency in basic and challenging mathematical skills. Some concepts introduced are rounding numbers to the nearest tens, hundreds and thousands; basic facts of multiplication and division; multiplication of two and three digit numbers; fractions, geometry, and measurement. Students also focus on knowing their math facts, in addition, subtraction, multiplication, and division. Students use individualized web-based drill activities several times a week to master all facts. Interactive Science encourages the students to perceive their world by gathering facts and drawing conclusions through observation or manipulation. The students will cover three areas: Life Science, Physical Science, and Earth Science. Throughout the year we use “Our Michigan Adventure” and learn the history, geography, and importance of our great state. We also develop map reading skills and global usage. Interpreting graphs and organizing information are also emphasized. 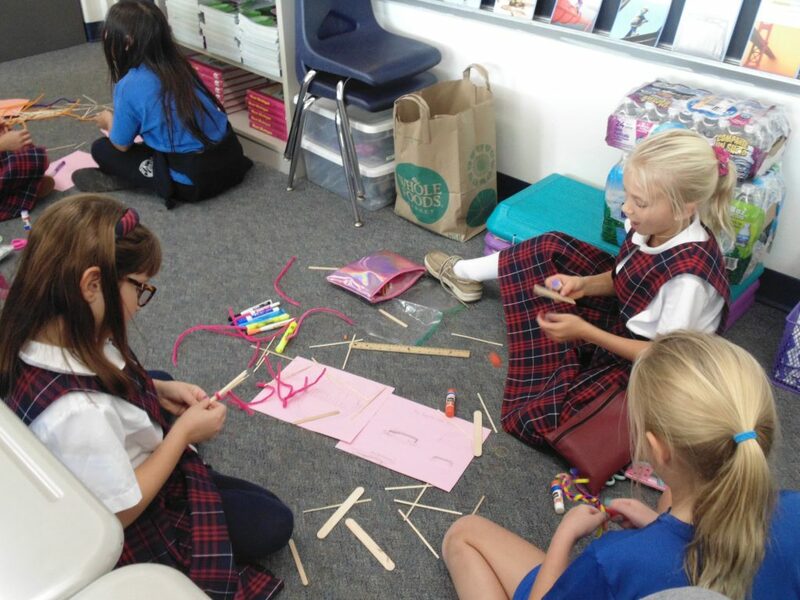 In third grade, Art’s focus is on continuing to improve artistic creativity. Students strive to improve skills in the use of materials such as scissors, paints, brushes, crayons, glue, various textures of paper and other supplies. Computers: Students in third grade will improve their speed and accuracy in keyboarding. They will create, edit, and do more advanced formatting in word-processing documents and create a multi-slide PowerPoint presentation. Digital Citizenship ethical computer use is also discussed. Library: students review Library Rules and Procedures, Book Care and learn about Parts of the library, How to find information on their own, Library Computer Catalog, participate in March is Reading Month Themed Weeks and activities and students are allowed to check out 2 books to take home for 2 weeks. Music class: students learn to play the recorder and performs at one of our spring open houses. The students learn principles of music and begin to play simple melodies. Physical Education: students attend classes twice a week. One of the goals is to improve physical fitness through drills. At the beginning of the year, the children play games to learn both rules and following directions. Exercising to music is an ongoing activity and in the spring the parachute encompasses many aspects of physical activity such as developing fine and large muscles, team and individual objectives. Spanish: Students develop the foundation to develop communicative competence in Spanish. They expand their vocabulary and are introduced to key grammar concepts.